Restaurante Auga, modern and inspiring market cuisine. A gastronomic experience in a unique setting. Humbleness, emotion, and dedication are our hallmarks. 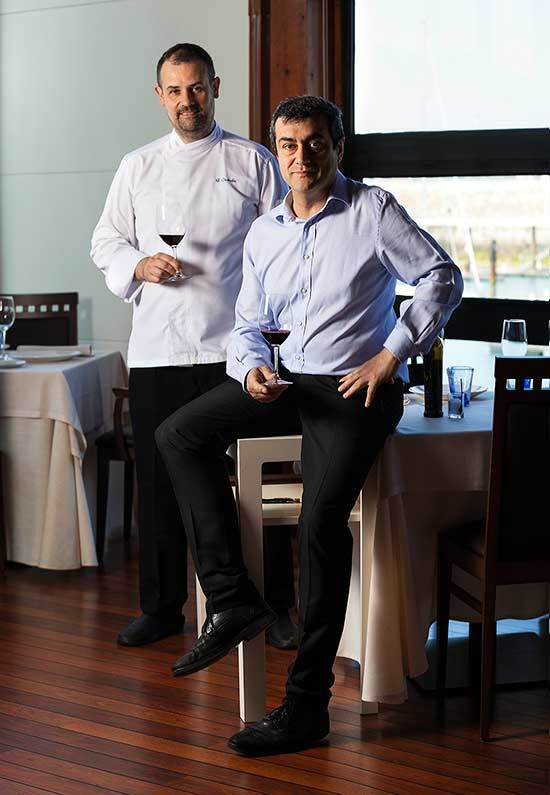 Gonzalo Pañeda and Antonio Pérez form one of the strongest team s on the Asturian gastronomic front. Surrounded by enthusiastic and professional staff, both the kitchen and dining room function like clockwork. Nothing is left to improvisation. Everything is tried and tested a thousand and one times. In 2011, after eleven years at the helm of a renowned restaurant on the outskirts, they brought their passion for cooking to the centre of Gijón, to the most elegant of enclaves boasting some of the best views in the city. On the menu classic favourites, representative of the cuisine of Gonzalo Pañeda are juxtaposed with new inspirations based on current seasonal offerings. Antonio Pérez, Sommelier and Maître D’, ensures that our prestigious cuisine is always complimented by the finest wines.